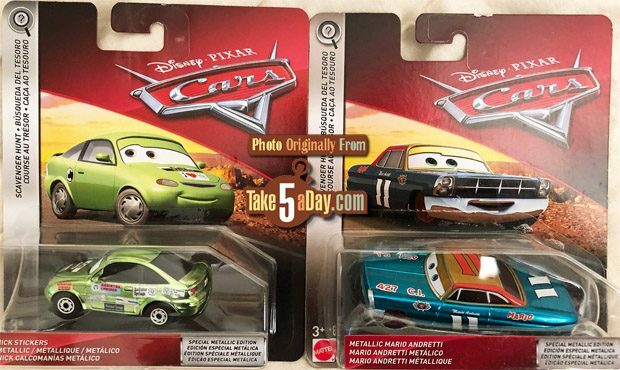 For those who are ONLY collecting CARS 1 diecasts, here’s your update reacp to April 2019 (US only). 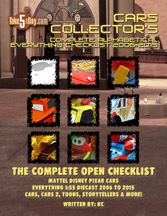 There are only two NEW releases – two Scavenger Hunts, Metallic Nick Stickers and Metallic Mario Andretti. 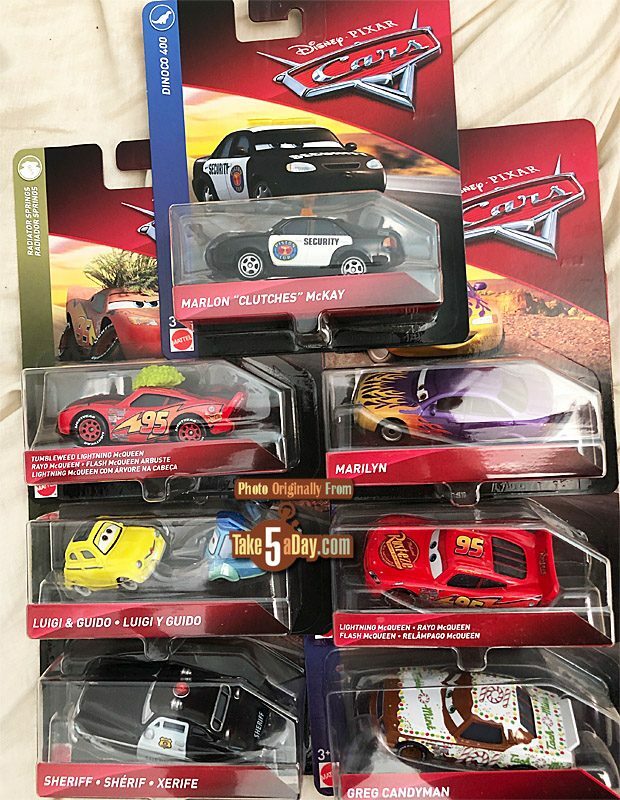 If you are a variant collector … you have CARS to add. Marlon Clutches McKay – VERY minor. Slightly different color back tail-lights. It’s a unibody but a unibody version has been out for years. Flat windshields – Greg Candyman, Tumbleweed Lightning* & Sheriff. 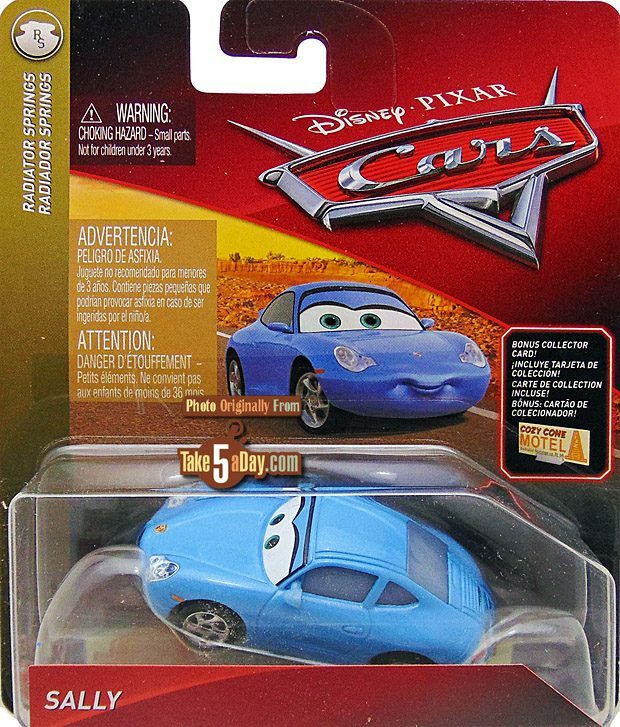 Eyelid Line Addition – Tumbleweed Lightning, Luigi, & Lightning McQueen. * Tumbleweed Lightning was released in the “blind box” asa flat windshield but he is now a flat windshield AND with an eyelid line. Sally from Thailand is a variant. I sent you photos about a week ago.